This November I decided to take part in not one, but three, writing challenges (crazy I know!). 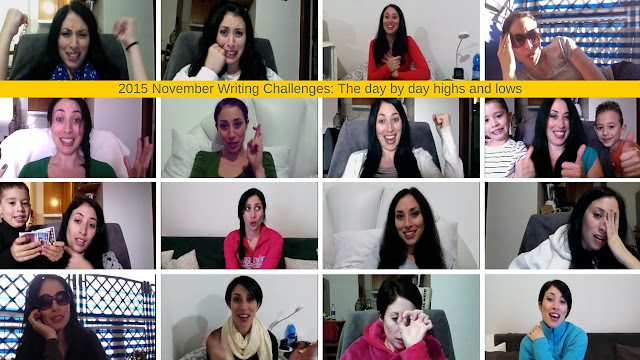 - NaNoWriMo AKA National Novel Writing Month, goal to write a 50K novel in 30 days. 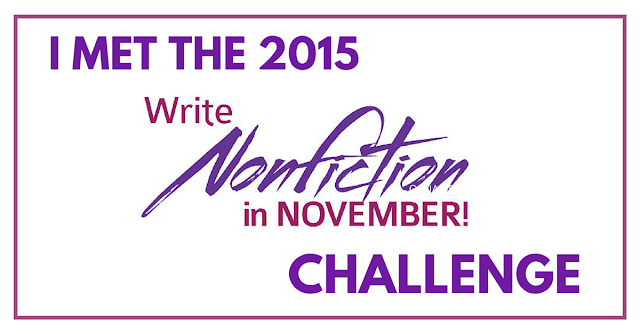 - WNFIN AKA Write Non Fiction in November, goal to write a non fiction book in 30 days. 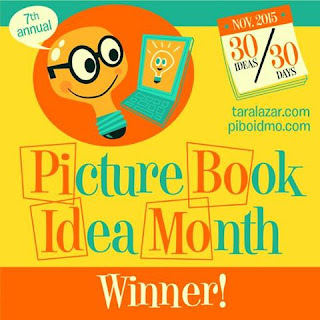 - PiBoIdMo AKA Picture Book Idea Month, goal to come up with 30 ideas for children's picture books in 30 days. We've finally come to the end of this roller-coaster month of highs and lows. It's been 30 days of writing frenzy, but I've had a blast along the way. This was hard this year. In fact, I didn't win. Both kids got ill, I got ill, life happened and well, my novel stopped happening. I'm still pleased though as I'm 30K into a novel that was just a blank page at the the start of the month. That's still pretty good going. I love the characters I came up with, and the story, and will be working on finishing this first draft of Family Secrets over December and January. I successfully managed to finish the first draft of my non fiction book From Idea to Published. Loving how it turned out, and can't wait to jump into editing it this month (more about that soon). Not all the ideas on this years list were amazing but there were a few diamonds in the rough that I'll be turning into books in 2016. One thing that did surprise me was the number of non fiction picture book ideas I listed as in past years I'd always listed mainly fiction ideas. That said, the ideas I'm most excited about are fiction ones. Want to go further behind the scenes? 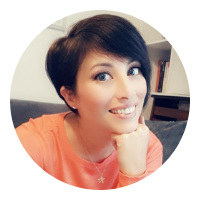 Watch this video of my day by day diary of the highs and lows of; writing a novel, a non fiction book, and coming up with 30 ideas for children's picture books, all in just one month. 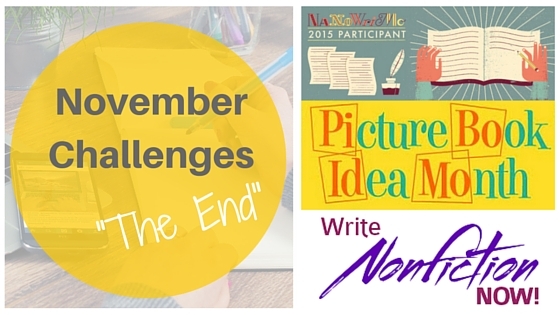 Did you take part in one, or more, of these challenges this year? Did you reach your goal? Share in the comments below. Thanks :) It was a lot of work but feeling pretty proud of myself. WOW JO! You had an incredibly busy November! Most people would have taken on only one of those challenges. Congrats on all the progress you made in just 30 days! Great job! You had a very busy and productive November. This inspires me to stay on track. SPECIAL OFFER: Virtual Book Tours at just $1,99!